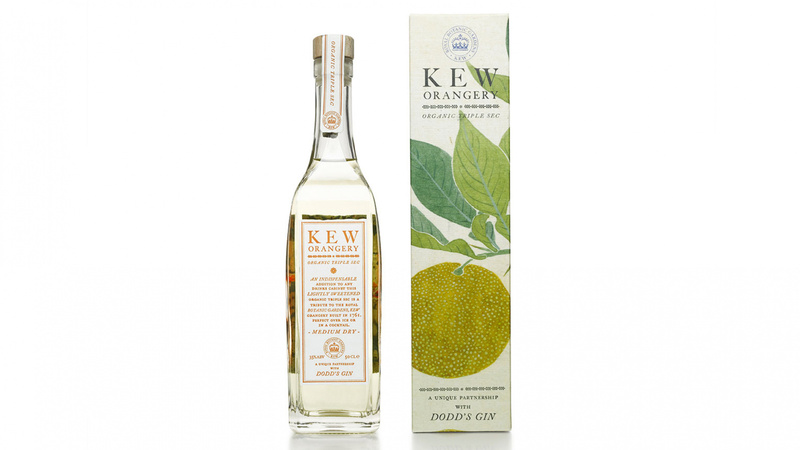 Made in tribute to Kew Gardens' orangery (first built in 1761), it's an organic, lightly sweetened, medium-dry orange liqueur that's enclosed in a beautifully presented box covered in illustrations inspired by plant drawings from the botanical gardens' archives. We reckon it'd make the perfect gift for a much-cherished friend. The London Distillery Company, in honour of Kew, down in the railway arches of its Bermondsey distillery. It's a distillation of three different types of orange, expertly blended together with Dodd's Gin (also from the distillery), and then briefly aged in American oak. Zesty, ripe orange flesh comes through straight away on the nose. Over ice it's sweet and punchily flavoured, but very much sippable. Our tip? Pair it with smoky mezcal and lime, and you'll have a magical margarita on your hands. Hop on a train to Kew and enjoy a wholesome day spent wandering around the seemingly endless botanical gardens, then nip into one of the many gift shops and pick up a bottle, a new notebook, oh, and that plant pot you totally don't need, too. Or if you can't wait, head to shop.kew.org or londondistillery.com to get a bottle delivered straight to your door.